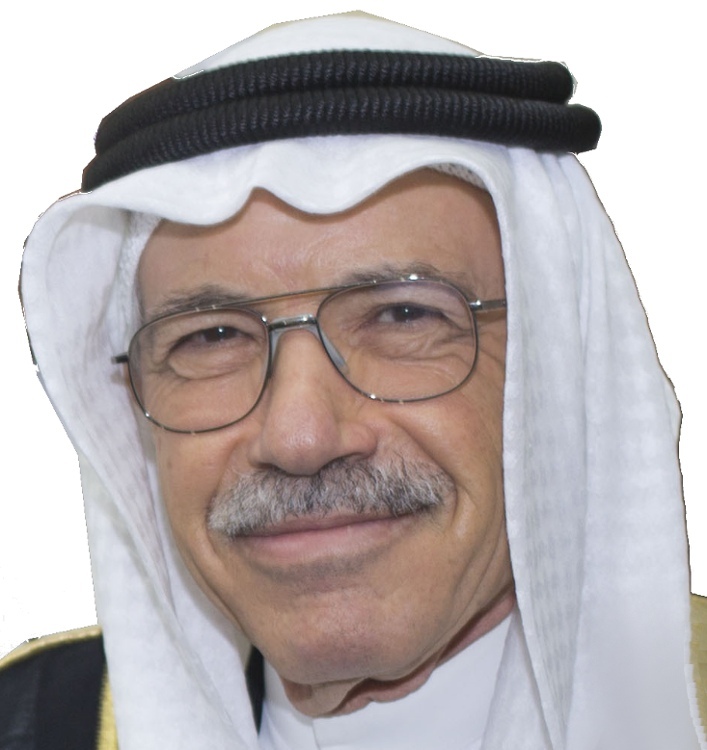 Mahmoud Abdulbaqi, retired VP of E&P at Saudi Aramco, and one of the founders of the Bahrain GEO series of conferences, tells us about his career and his belief that the way forward for the industry is through finding, educating, training and retaining the right people. “When I was a teenager, my uncle gave me a present of a book about the Mohole Project – an ambitious attempt in the 1960s to drill through the Earth’s crust into the Mohorocičić discontinuity. I was fascinated by the idea that by drilling such deep cores we could gain an understanding of the earth, and from that day I knew I wanted to be a geologist.” So explains Mahmoud Abdulbaqi, a veteran of 45 years in the hydrocarbon industry, who retired from his role as VP Exploration and VP of Petroleum Engineering and Development for Saudi Aramco in 2005 and is now Chairman of Saudi geophysical company, Argas. Mahmoud Abdulbaqi. (Source: Argas) Mr Abdulbaqi was born in Palestine but when displaced moved many times in his early years, having lived in Lebanon, Syria, Jordan, Iraq, Kuwait and the United Kingdom before he eventually arrived in Saudi Arabia in 1971. He is now a Saudi national. “I obtained my first degree from the University of Baghdad, which had a very good geoscience programme, with links to the University of Texas at Austin and lectures by senior Iraq Petroleum Company (IPC) personnel,” he explains. “Although I was always interested in the hydrocarbon industry, when I graduated in 1966 it was in one of its periodic troughs and so I worked for a couple of years in engineering geology, on dam construction in Jordan, and also spent three years lecturing in Kuwait. Eventually, companies started hiring again and Saudi Aramco contacted me in response to my earlier application. In 1971 I moved to Saudi where I met my wife and the rest, as they say, is history. Mr Abdulbaqi started as a wellsite geologist, soon rising to be head of his group, and then worked in oilfield development and reservoir geology, before moving to the exploration group in Saudi Aramco’s processing centre near London. His wife took temporary leave from the company and the family joined him in the UK, living near the famous Kings Road in London. “However, as they began building capacity in Saudi the processing centre was moved to the Dhahran ‘Expec’ (Exploration and Petroleum Engineering Centre), and in 1986 I became the company’s first non-expatriate General Manager of Exploration. During his years with Saudi Aramco, Mr Abdulbaqi held the positions of Chief Exploration Geologist and Chief Production Geologist, was a member of the Saudi Aramco Executive Advisory Committee, the Planning Advisory Committee, and the Board of Directors of the Arabian Drilling Company. He also took an MBA through Columbia University Business School and is a graduate of the Management Program at Georgetown University Law Centre in Washington, D.C. He finally retired from the company in October 2005, by which time he was Vice President of Exploration and Vice President of Petroleum Engineering and Development. Having been an active member of professional societies like the American Association of Petroleum Geologists (AAPG) and the Society of Petroleum Engineers (SPE) since the very start of his career, Mr Abdulbaqi believes they serve a very important function, particularly in encouraging the younger generation. 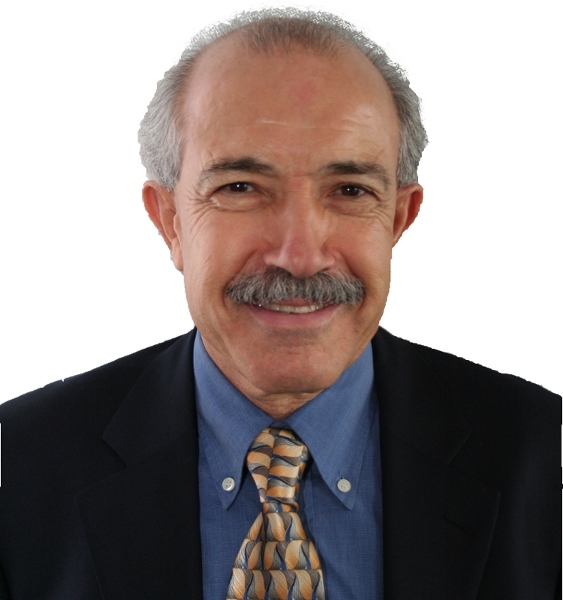 From 1999 to 2002 he served as the first President of the Middle East Region for the AAPG and he was also on the association’s Advisory Council. In 2003, the AAPG gave him the great honour of awarding him the status of Honorary Membership, a rare accolade. He was also the first non-European President of the European Association of Geoscientists and Engineers (EAGE) and is still involved in their student fund activities. He is also a member of the Society of Exploration Geophysicists (SEG). He was involved from the outset with GEO, the wellreputed Middle East geosciences conference and exhibition, held biennially in Bahrain. “MEOS – the Middle East Oil Show, sponsored by the SPE – started in 1979”, Mr Abdulbaqi explains. “It featured a few geoscience sessions, and I was involved in those, but we realised there was no proper forum to address exploration topics in the Middle East. I therefore became a founding member of the Dhahran Geosciences Society (DGS) and we soon recognised that we needed our own conference. We talked to the AAPG about setting something up in the Middle East, but they didn’t have the appropriate resources at the time, so we decided we would develop the idea ourselves. MEOS was every two years, so there was an obvious slot in the conference schedule. Bahrain-based Arabian Exhibition Company, which organises MEOS, agreed to organise the exhibition, with DGS organising the conference part, while Saudi Aramco gave a lot of support to the idea and its implementation. Bahrain was the perfect host country. Passionate about the oil and gas industry, Mr Abdulbaqi now expends considerable energy inspiring people to enter it and to develop good exciting careers in all aspects of it. “As I moved up the career ladder I realised that developing people had become the most important part of the job, taking up to 60% of my time,” he says. “I became particularly interested in ensuring that our young nationals are well equipped to take on more fulfilling roles within the company. We established an excellent programme to aid their development, with connections with prestigious educational establishments such as Stanford University, Colorado School of Mines, MIT, the University of California at Berkley, Imperial College, and Delft University, so we could prepare the younger generation to take over from us. “That was fun to do, I really enjoy working with the younger generation. I have continued doing so since I left Saudi Aramco: helping young students, finding them placements, and mentoring. Through the EAGE I visited many countries, meeting with students from different nationalities and cultures; I helped establish the EAGE student fund and was active in getting industry donations. I am also involved with the EAGE Geo-Quiz programme at their annual meeting. Mahmoud Abdulbaqi when he was non-European President of the EAGE. (Source: EAGE) Mr Abdulbaqi feels passionate about the importance of engaging all young people, not just those who are working in the oil industry or involved in studies leading to a career in it. “We should start with our schools and encourage and support science and maths programmes in them. “In the oil and gas business we don’t promote ourselves well at all. When the industry is talked about, people think of flaring, fumes, pollution etc. – but they need to look at what it does for all of us,” he says. “It provides three-quarters of the energy of the world and we cannot have economic growth without it. Oil and gas provide us with sophisticated petrochemical products like plastics for a huge range of uses, including for modern medical procedures; basically, we need petrochemicals for the well-being of humans. It’s an exciting, high tech industry. “To get that message across we must interact with young people in our schools and universities at all levels. Saudi Aramco has a very good programme to help this. Youngsters are invited to visit the company’s modern interactive oil exhibit in Dhahran, which demonstrates all stages of the industry. Even the bus transport for school children in the immediate area is provided, while mobile oil exhibits visit schools further away. The students can play and interact with this and learn about the importance of the industry in the process. Saudi Aramco also has good connections with King Fahd University of Petroleum and Minerals in the Eastern Province and with the research centres of the Dhahran Techno Valley, and was heavily involved in establishing the King Abdullah University of Science and Technology in the Western Province, a graduate research school. Saudi Aramco is still a significant partner. “In general, as an industry we are not doing a good job of explaining what we do or how we are affecting everyone’s lives in so many ways,” he adds. Although he retired from Saudi Aramco about ten years ago, Mr Abdulbaqi is still working, both as a consultant and as a board member of a number of companies. He is Chairman of geophysical company Argas, which is jointly owned by TAQA of Saudi Arabia and CGG of France. This started as a geophysical acquisition contractor in Saudi Arabia, but now covers the Middle East, in fields which include not just seismic data acquisitions, but also advanced processing, reservoir characterisation, integrated geophysical solutions, gravity and other non-seismic methods. He is also a board member of Houston-based Quantum Reservoir Impact (QRI). He was also recently Chairman of the International Petroleum Technology Conference Board (an annual event rotating between Asia Pacific and the Middle East), and still serves as a member of that board. He seems to have no intention of slowing down. Just as well, then, that Mr Abdulbaqi and his family love travelling: “Ask me where I haven’t been,” he laughs. “I like what I do, and when you enjoy your work you have the energy to go on and progress comes naturally,” he explains. A move from geophysical R&D into marketing, sparked partly by his proficiency in English, was an unusual career path for BGP geophysicist Liu Juxiang, but it has taken him all around the world in a job he loves.